Americans might wonder how Pakistan could imprison a man who helped track down the mastermind of the 9/11 attacks. Pakistanis are apt to ask a different question: how could the United States betray its trust and cheapen its sovereignty with a secret nighttime raid that shamed the military and its intelligence agencies? 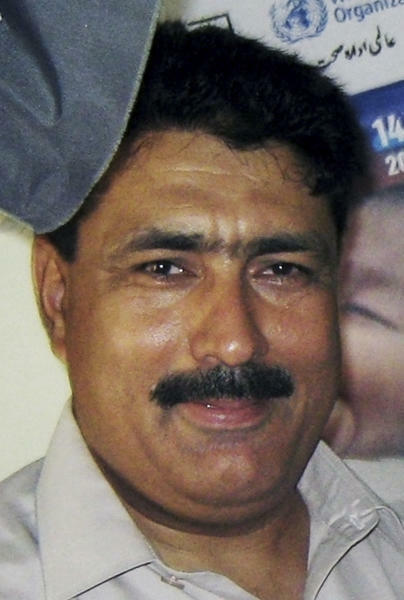 "The Shakil Afridi saga is the perfect metaphor for U.S-Pakistan relations" — a growing tangle of mistrust and miscommunication that threatens to jeopardize key efforts against terrorism, said Michael Kugelman, Asia program deputy director at the Woodrow Wilson Center in Washington. The U.S. believes its financial support entitles it to Pakistan's backing in its efforts to defeat the Taliban — as a candidate, Donald Trump pledged to free Afridi, telling Fox News in April 2016 he would get him out of prison in "two minutes. ... Because we give a lot of aid to Pakistan." But Pakistan is resentful of what it sees as U.S. interference in its affairs. Mohammed Amir Rana, director of the independent Pakistan Institute of Peace Studies in Islamabad, said the trust deficit between the two countries is an old story that won't be rewritten until Pakistan and the U.S. revise their expectations of each other, recognize their divergent security concerns and plot an Afghan war strategy, other than the current one which is to both kill and talk to the Taliban. "Shakil Afridi (is) part of the larger puzzle," he said. Afridi hasn't seen his lawyer since 2012 and his wife and children are his only visitors. For two years his file "disappeared," delaying a court appeal that still hasn't proceeded. The courts now say a prosecutor is unavailable, his lawyer, Qamar Nadeem Afridi, told The Associated Press. "Everyone is afraid to even talk about him, to mention his name," and not without reason, said Nadeem, who is also Afridi's cousin. In Nadeem's office, the wind whistles through a clumsily covered window shattered by a bullet. On another window, clear tape covers a second bullet hole, both from a shooting incident several years ago in which no suspects have been named. Another of Afridi's lawyers was gunned down outside his Peshawar home and a Peshawar jail deputy superintendent, who had advocated on Afridi's behalf, was shot and killed, said Nadeem. Afridi used a fake hepatitis vaccination program to try to get DNA samples from bin Laden's family as a means of pinpointing his location. But he has not been charged in connection with the bin Laden operation. He was accused under tribal law alleging he aided and facilitated militants in the nearby Khyber tribal region, said Nadeem. Even the Taliban scoffed at the charge that was filed to make use of Pakistan's antiquated tribal system, which allows closed courts, does not require the defendant to be present in court, and limits the number of appeals, he said. If charged with treason — which Pakistani authorities say he committed — Afridi would have the right to public hearings and numerous appeals all the way to the Supreme Court, where the details of the bin Laden raid could be laid bare, something neither the civilian nor military establishments want, his lawyer said. Tensions have grown between Pakistan and the U.S. since Trump's New Year's Day tweet in which he accused Pakistan of taking $33 billion in aid and giving only "deceit and lies" in return while harboring Afghan insurgents who attack American soldiers in neighboring Afghanistan. Days later, the U.S. suspended military aid to Pakistan, which could amount to $2 billion. Infuriated by Trump's tweet, Pakistan accused Washington of making it a scapegoat for its failure to bring peace to Afghanistan. The Wilson Center's Kugelman advocated a "scaled-down relationship" between the two countries. He said both sides need to agree to disagree on some issues and instead focus on those areas where they can agree to cooperate against terror groups that both regard as threats, including the Islamic State group and al-Qaida. Pakistan and the Taliban sanctuaries it provides are a big part of the insurgents' success in Afghanistan, but it's only one of many factors, Kugelman said. "It's foolish to suggest that if the Pakistani sanctuaries were eliminated, the insurgency would magically go away and the U.S. would be able to prevail in Afghanistan," he said. "The Taliban has persevered because the U.S. still struggles to fight wars against non-state actors, and because the Afghan government has remained a weak and corrupt entity that has failed to convince a critical mass of Afghans that it's a better alternative to the Taliban." Afridi spends his days alone, isolated from a general prison population filled with militants who have vowed to kill him for his role in locating bin Laden, said Nadeem. Still, Nadeem said authorities are treating Afridi well and he is in good health, according to those who have seen him. There was a no indication whether U.S. Acting Assistant Secretary of State Alice Wells brought Afridi's case up in recent meetings in Pakistan. But in a statement, the U.S. State Department told the AP that Afridi has not been forgotten. "We believe Dr. Afridi has been unjustly imprisoned and have clearly communicated our position to Pakistan on Dr. Afridi's case, both in public and in private," it said. In the past, Pakistan has compared Afridi's dilemma with demands for the release of Afia Siddiqui, a Pakistani woman who is in U.S. custody convicted of trying to kill an American soldier in Afghanistan. "To America, she (Siddiqui) is a terrorist," said Kugelman. "To Pakistan, she is a wrongfully imprisoned innocent."